We start today’s episode with a tea party with all of Captain Owen’s animals along with Darth Tater ( the Mr. 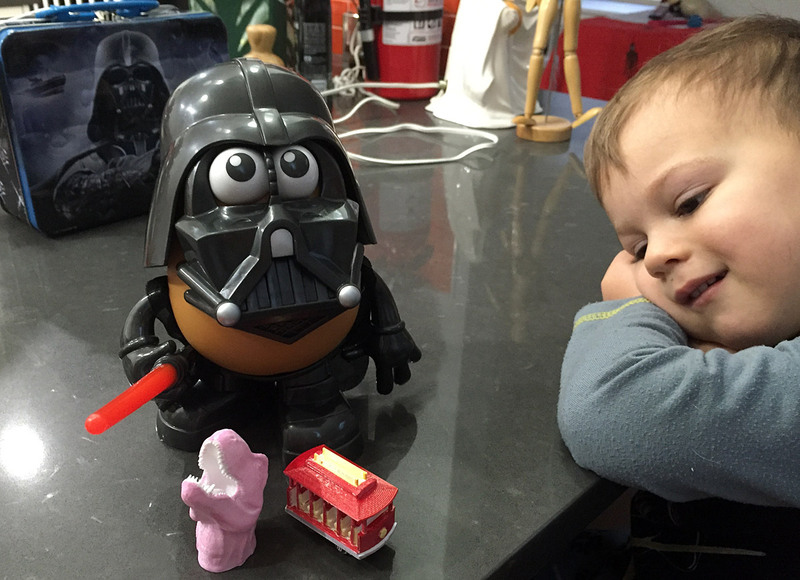 Potato Head Darth Vader). We then talk about our trip to IKEA before a rampaging Owen crashes everyone at the party. 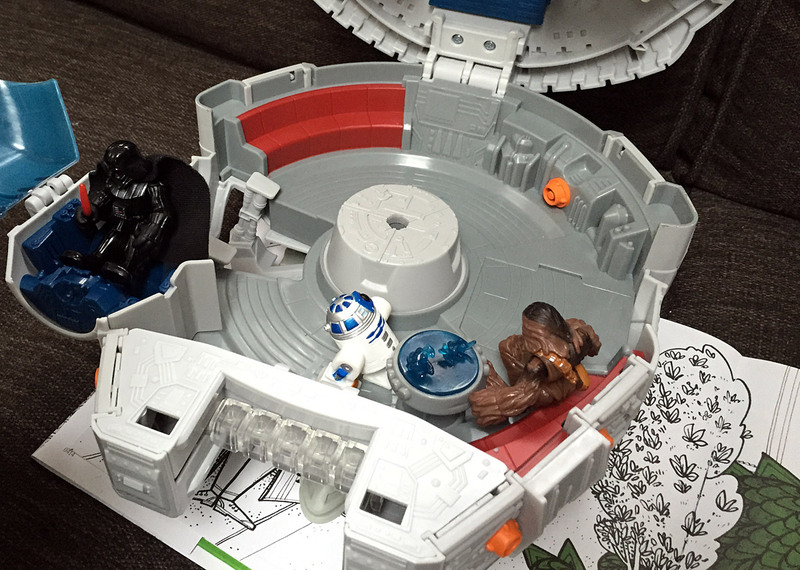 Chewie and R2 play Dejarik while Darth Vader pilots. This week we play with Captain Owen’s Star Wars Galactic Heroes Millenium Falcon and Darth Vader that he got from his Grandma Janice on Force Friday! These Galactic Heroes toys are pretty great, and they did a real nice job of capturing that old school playset that’s also a carrying case feel. I see many more Galactic Heroes playsets and figures in our future.